So Andrew and I were pootling along through Corsair Bay in our famous dinghy last night, minding our own business when suddenly we were attacked! 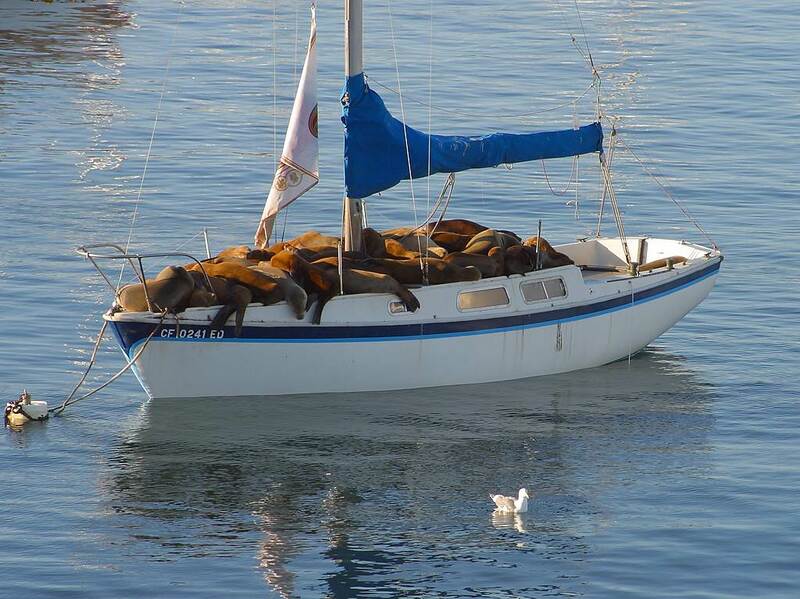 Presumably they were protecting their nest, which thankfully was on someone elses boat this time. A couple of years ago the nest was on Wildwood – and this was not good! 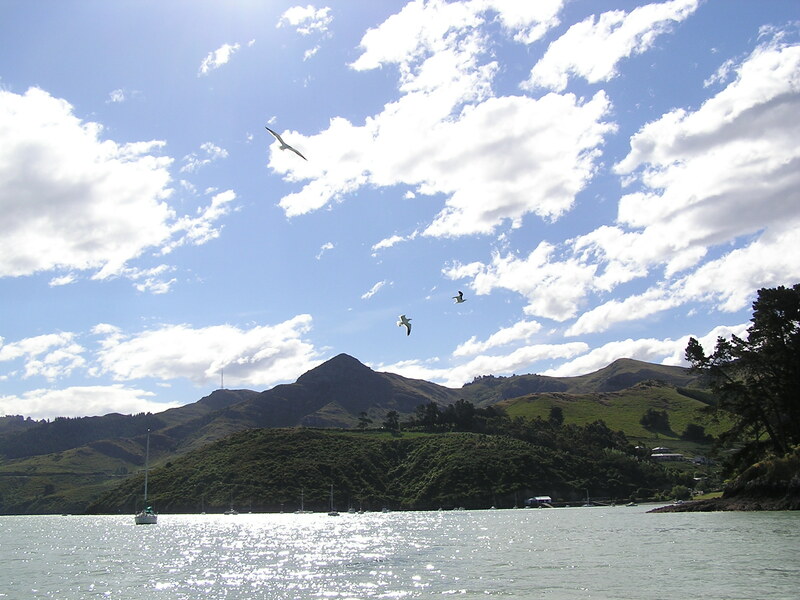 Any time we went anywhere near the boat, the birds would attack us. As you can imagine I was not impressed! How was I going to go sailing?! So I put the question out there to my friends. Some suggested I shoot it, but I was worried about shooting a hole in my boat, I don’t have a gun, and apparently it is illegal to shoot seagulls within 2km of the sea – who knew…?! Others suggested I get a cat. But I am allergic to cats, and I just don’t want one living on the boat. Someone else suggested that I should be happy it is just a seagull and not a whole boatload of seals – then I would really have a problem! I even rang the bird protection league and suggested that they might like to come and ‘rescue’ the seagulls from my boat before I dealt to them. However they were less than impressed and recommended that I leave them and the nest alone until the chicks were ready to fly away in about two months time… ummm not likely!!!!! So without any sensible suggestions in order, I formulated a plan! The dinghy was just too exposed, so we went out in my friend Allan’s speedboat. It had a canopy so we had some protection. We donned bike helmets as we cautiously approached Wildy. I had bought some fish n chips. I know how much seagulls LOVE fish n chips, so I created a frenzy of chips and seagulls flying around everywhere. While the greedy birds were distracted, we jumped on board the boat, grabbed the nest with two bright blue eggs sitting in it, jumped back in to the boat and sped off as fast as we could to a neighbouring boat! 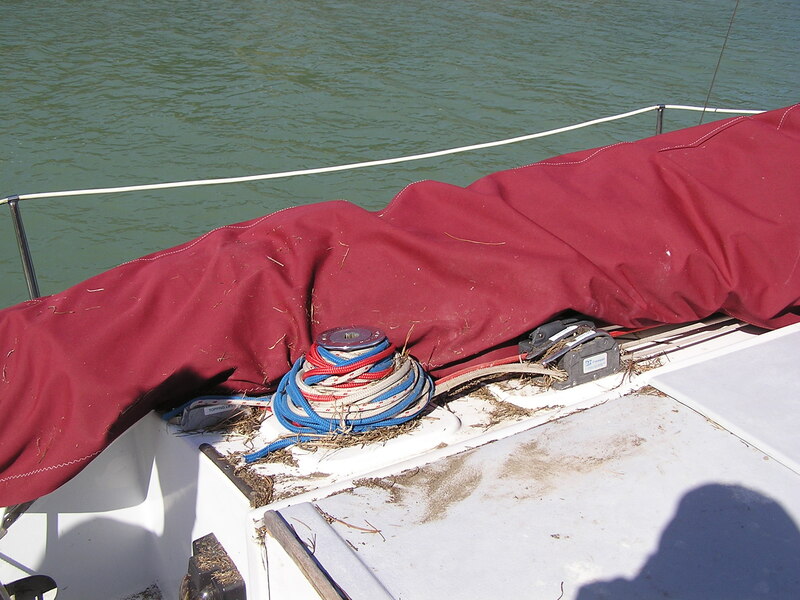 This was one of those boats just begging for a seagull nest accessory to compliment the metres of weed hanging off the hull. I carefully put the nest – with the eggs still inside in a sheltered spot in the cockpit and then I threw a few more fish n chips around to attract the bad birds over to the boat. Job done! 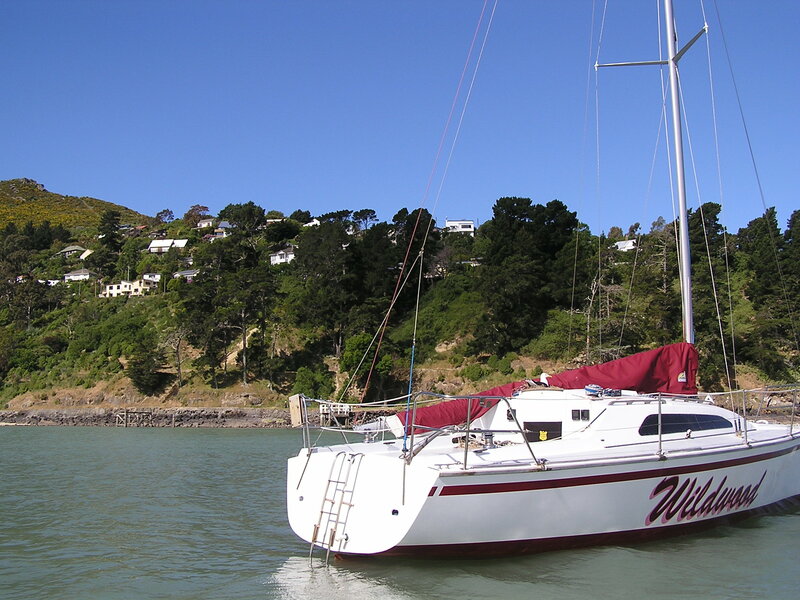 We went back to Wildy, spent the next hour cleaning the seagull s*#t, and bits of grass from off the deck, and went out to do our usual Wednesday night twilight race. We came back and found that Mumma bird was sitting happily on the nest on the other boat – glaring at us!!! Happy that I had managed to solve my problem, and that no eggs or birds had been harmed in the process, we cracked open a beer to celebrate. Next minute though the bird got up and took off, she flew over us in one direction, then circled back over and dropped a big poo all over us! Arraaggh YUCK!!! The story does have a happy ending. 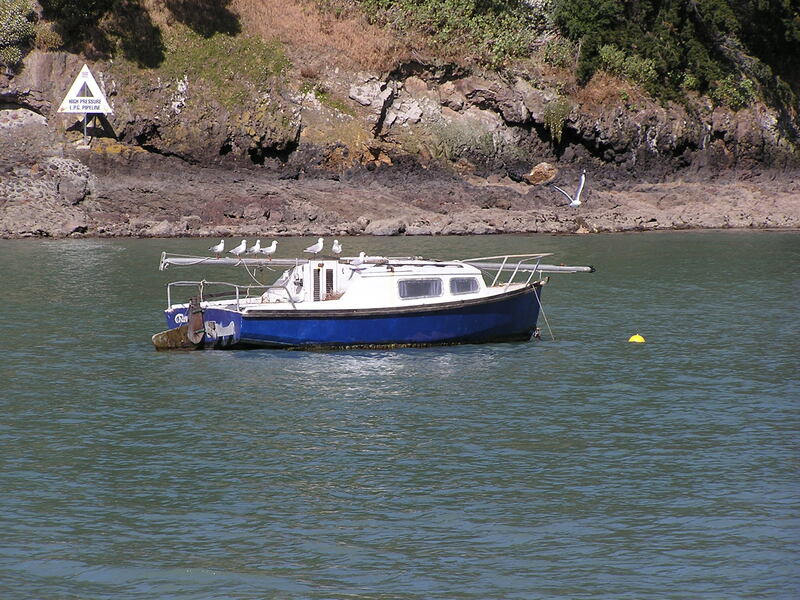 A few weeks later the chicks hatched, and they happily pooed all over the other boat with reckless abandon. We carried on sailing, and now install the anti bird nest device (a beer bottle with a plastic bag tied on it) whenever we got a hint that the seagulls might be eyeing us up again. 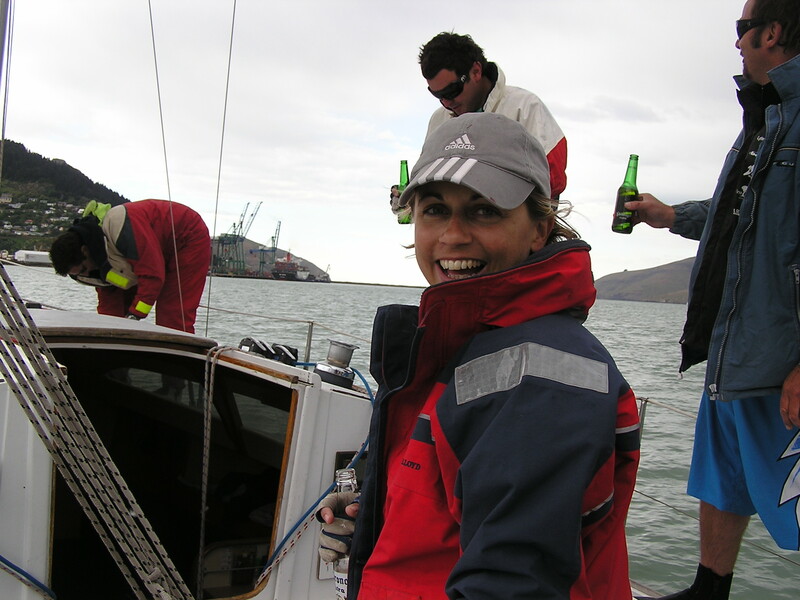 However it looks like we might have to get the bike helmets out again this weekend when we head out for another sail! Thanks for the laugh… and the detailed instruction on how I can handle seagull issues should the need arise! I believe this is one of your more hilarious posts! 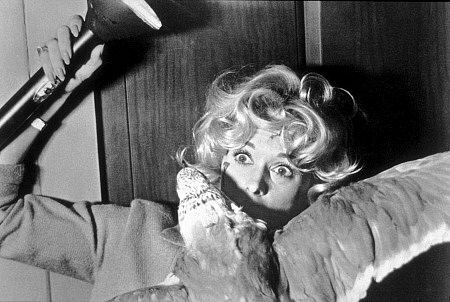 Your method if dealing with the gulls was brilliant! I love it! I hope the owner of the other boat doesn’t read it! LOL! That’s interesting info on seagulls. But they seem like a pesky bird. I would just like to say that the other boat was in fact mine and I will be getting my own back. A bit of plankton should attract a whale or two on your decks and you try clearing up after them.